Thrush is an oral infection caused by the fungus Candida albicans. Symptoms include painful, creamy-white patches on the tongue, gums or inner cheeks, along with the roof of the mouth, the tonsils and the back of the throat. Thrush commonly occurs in infants, the elderly, individuals who wear dentures and those with a weakened immune system. Vitamin C is an alternative treatment for thrush. Consult your doctor before using vitamin C as a treatment for thrush. Candida normally resides in the mouth, stomach and vaginal area without any ill effects. However, an overgrowth or an excessive amount of Candida will cause Candidiasis. Thrush may occur due to taking medications, such as antibiotics or some types of birth control pills. Being pregnant or overweight, or having an infection or health condition, such as diabetes or a weakened immune system, may trigger a thrush outbreak, according to the University of Maryland Medical Center (UMMC). Vitamin C is a water-soluble vitamin; it strengthens the immune system and is a powerful antioxidant. 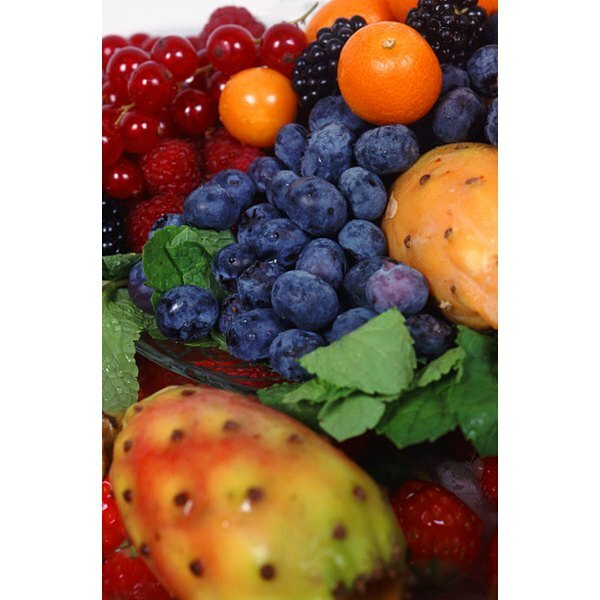 Antioxidants fight free radicals and stave off cell damage and development of various health conditions and inflammation. Vitamin C is essential for wound healing and tissue growth and repair throughout the body. Vitamin C will help to reduce the inflammation involved with the fungal infection of thrush and will strengthen the immune system in its fight to repair and heal the condition. The UMMC advises taking 500 – 1,000 mg per day of vitamin C, 200 to 400 IU of vitamin E along with 200 mcg of selenium as an alternative treatment for thrush. Excellent and natural sources of vitamin C are citrus fruits and juices such as oranges, lemons and grapefruit. Tomatoes, green peppers and green leafy vegetables are also rich in vitamin C. Strawberries, blue berries, raspberries and pineapples as well as papaya are packed with vitamin C. Vitamin C supplements are also available in chewable and non chewable tablets, capsules, powder and liquid forms. Vitamin C is not produced or stored in the body. It dissolves in water and any extra that’s not absorbed is excreted out in the urine. Therefore an adequate daily dietary amount of vitamin C or a vitamin supplement is essential. Vitamin C deficiency may cause slow wound healing rate, inability to fight infections; and a severe deficiency will cause scurvy.